If you’re a little confused about the various types of music associated with the kizomba dance scene you’re not alone. On this episode of Agua Latina host Joe Clave and DJ Clare give you the explanations and examples of zouk, semba, kizomba, tarraxa and ghetto zouk. 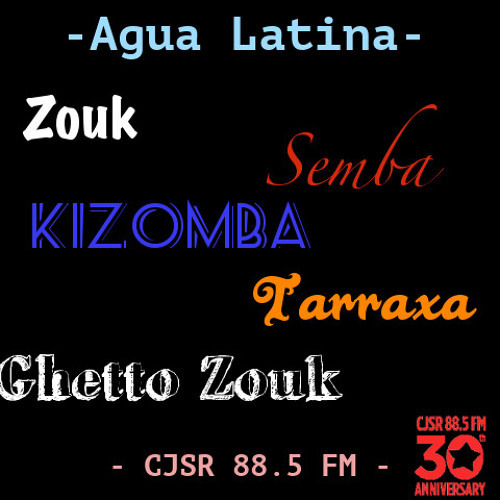 Users who like Agua Latina - Zouk, Semba, Kizomba, Tarraxa, and Ghetto Zouk - Oh My! Users who reposted Agua Latina - Zouk, Semba, Kizomba, Tarraxa, and Ghetto Zouk - Oh My! Playlists containing Agua Latina - Zouk, Semba, Kizomba, Tarraxa, and Ghetto Zouk - Oh My! More tracks like Agua Latina - Zouk, Semba, Kizomba, Tarraxa, and Ghetto Zouk - Oh My!